Coming up with ideas for easy dinner recipes seems like a never-ending challenge. And if you add in any special dietary requirements, such as being vegan or gluten-free, it can be that much more challenging in terms of finding readily available ingredients and keeping things simple in the kitchen. Whether you’re a vegan veteran, new to eating vegan, or simply trying to improve your health by eating fewer animal-based foods, it’s helpful to have a go-to list of easy-to-make vegan dinner recipes. I’ve assembled a fantastic list below of vegan dinner recipes that are easy to make and contain simple ingredients. I hope you enjoy! 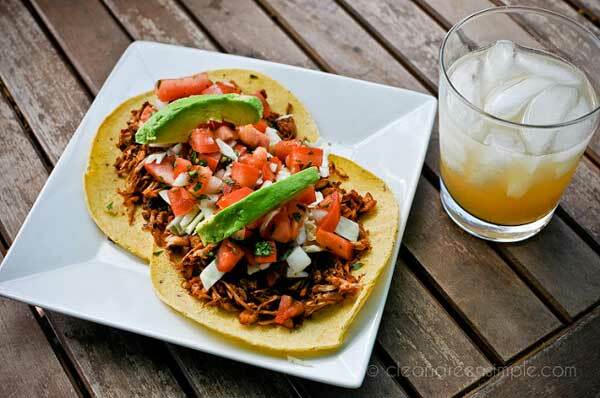 With Jackfruit, you can create an an amazing vegetarian shredded meat for tacos, burritos and much more. This delicious jackfruit carnitas recipe comes together in about 30 minutes (which is faster than real carnitas) and is super simple to make. This is one of the most popular recipes we’ve ever published! Delicious! I just made this recipe with your version. It turned out better than I could have imagined. 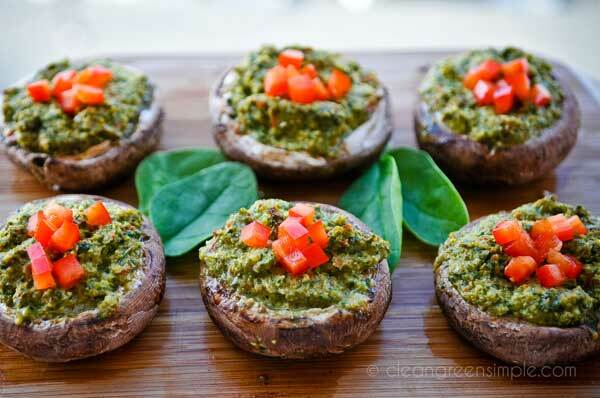 This vegan stuffed mushroom recipe is super easy to make, and it works as an appetizer or as a main course. 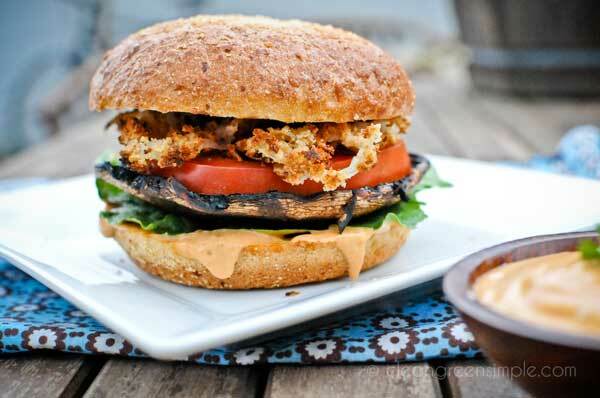 I find this recipe tastes best with portobellos or baby bellas, but feel free to experiment. I’ve made these twice now, and they’re so easy and healthy. Thanks for the recipe. 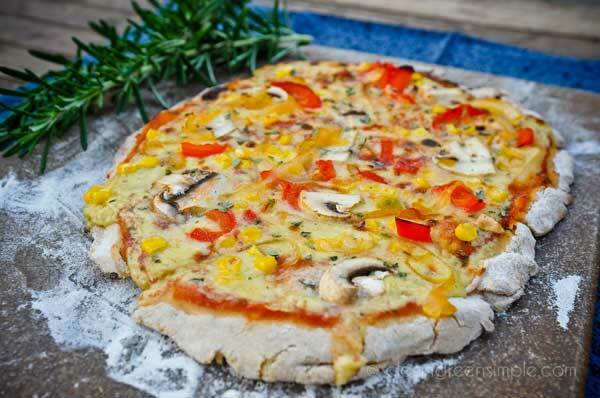 This pizza is dairy free, egg free, gluten free, low fat, and soy free. It has just a touch of agave nectar to feed the yeast, but you can’t get a pizza much healthier than this. And did I mention it tastes amazing? While this is an easy to make dinner recipe, I’m not going to say it’s quick. If you’ve ever made your own pizza, you know the steps — this one’s no different. But oh my…the results are delicious! 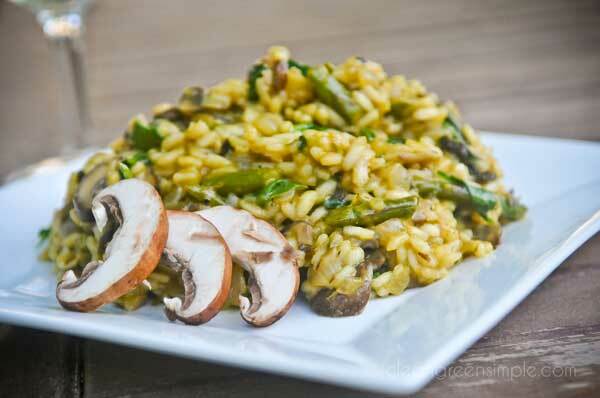 This risotto is so creamy, smooth, and decadent, you’d swear it was covered in butter. But this recipe is super easy to make and doesn’t contain dairy at all. Grilled cheese sandwiches are a classic comfort food and simple dinner option. Our go-to “cheese” recipe is used to create the classic grilled cheese sandwich, and this recipe makes the best vegan grilled cheese I’ve ever had. 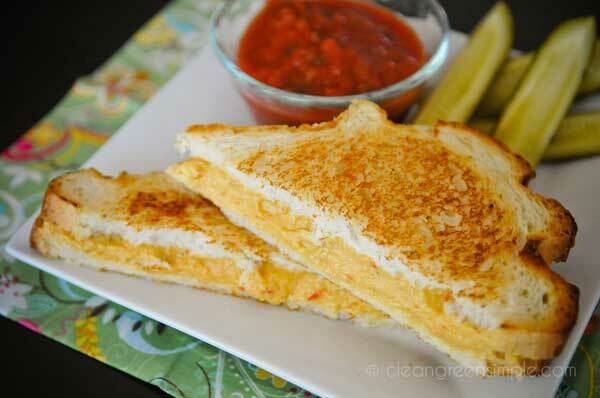 This is the best vegan grilled cheese recipe I’ve ever tasted. . . the rolled oats as texture is a great idea. 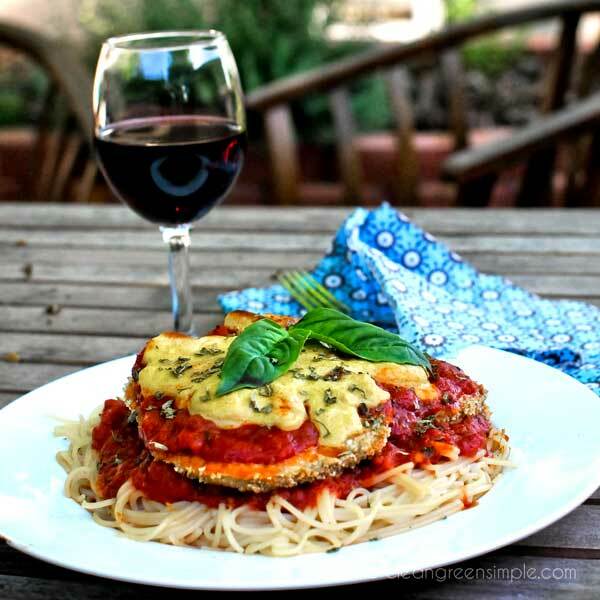 This beautiful eggplant parmesan dinner recipe features incredibly tasty eggplant cutlets that you simply must try. It takes 30 minutes of prep time and 10 minutes of cook time, but you can shave that down by preparing a batch of Super Easy Vegan Marinara Sauce in advance. Wow. I had never even cooked eggplant before! I made this recipe tonight and my family loved it. Even the skeptical meat eating members of the family! 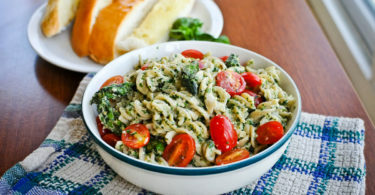 This healthy vegan pesto recipe is easy to make, and with its fresh basil and kale, nice ripe cherry tomatoes, and crisp asparagus, it’s like springtime in a bowl, no matter what time of year you decide to make it. I made this today. Viewed your pics this morning, trip to the market the afternoon, and dinner tonight. I absolutely loved it! I rarely use kale except for soup so this was a new creative way to get it in the diet. The flavors were wonderful, onion-garlic-walnuts incredible. 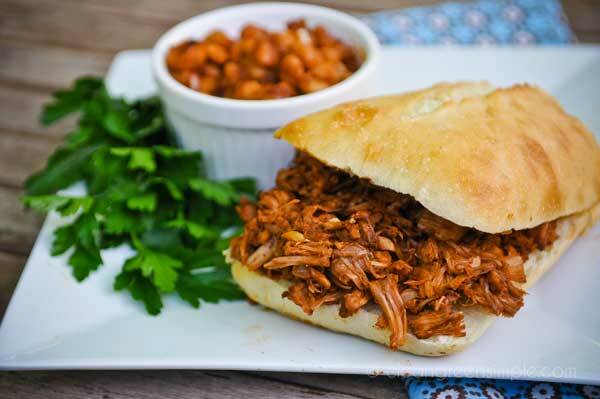 A second jackfruit recipe here since these have been among our most popular. This one’s sure to satisfy vegans who still get the occasional craving for some good Carolina BBQ, and it might even convince some of your meat-eating friends to try more vegan options. This recipe is AMAZING! I made it for my meat eater boyfriend, and he didn’t even know it wasn’t meat until I told him. Thank you so much for this golden nugget! 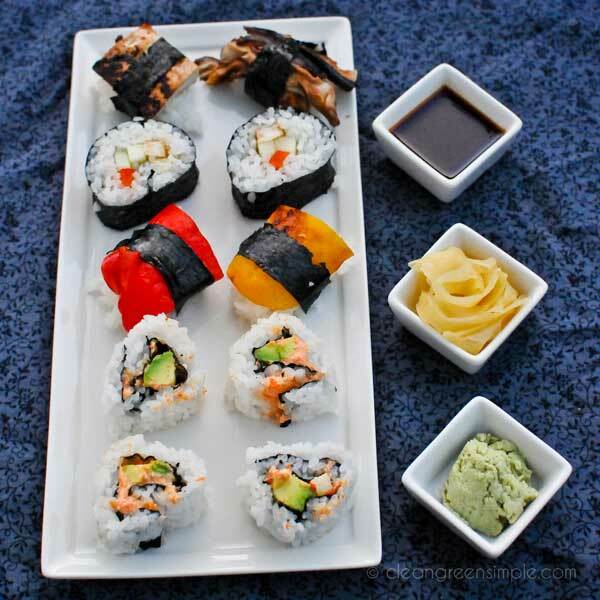 Half the joy of sushi is how pretty it can all look on the plate, but veggie options are usually just kind of boring and green. So we got serious on this recipe and armed ourselves with a ton of veggies until we figured out which ones were good. We made two exciting discoveries along the way, so be sure to check out this recipe. A good slow cooker chili recipes is one of those staples you need to have among your go-to dinner options. And this recipe couldn’t get much easier – chop up all the veggies, rinse the beans, and toss it all into the slow cooker. This was SO GOOD. I’m a newbie vegan, and trying to convert my Mom. 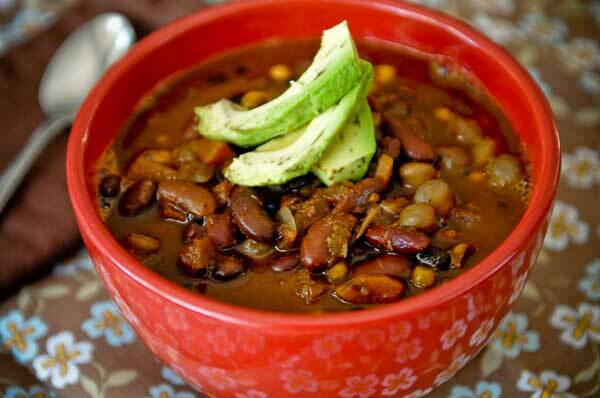 She is a die-hard hamburger chili fan… and she loved this! Ever tried making pad thai? It’s kind of a pain. But rejoice! 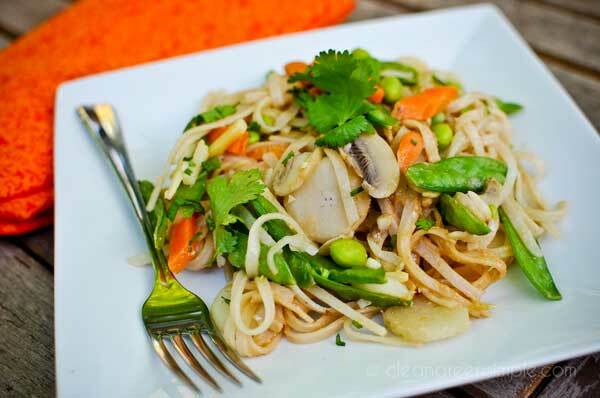 Here is a vegan pad thai dinner recipe that is easy, consistent, and tastes like what you get at good Thai restaurants, and all without using fish sauce. 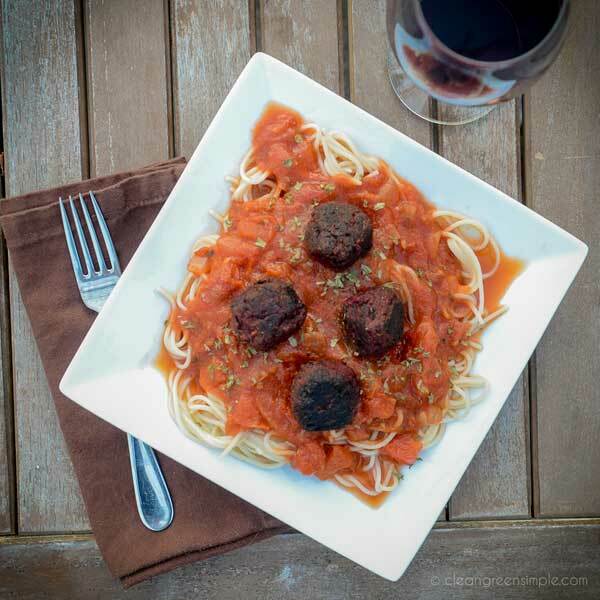 A delicious healthy vegan meatballs recipe that’s easy to make and doubles as a great veggie burger option. Just mix up the ingredients, form the “beetballs,” and sauté. Easy peasy dinner option. This recipe is ideal for a Super Bowl party, but it’s also a simple, tasty dinner option even when you’re flying solo. You’re not going to fool anybody into thinking these are real chicken wings, but eating vegan isn’t always about imitating meat-based recipes. 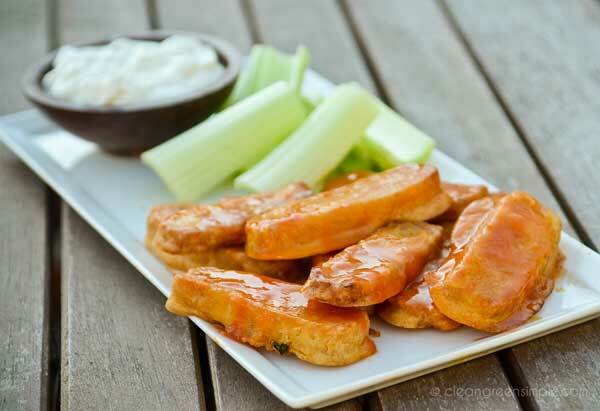 With this recipe, you can achieve a similar flavor profile to Buffalo wings with something that’s healthy and tastes great in its own right. Just made these and wow! I really don’t miss much meat since I opted for a plant-based diet, but hot wings are the exception. This recipe is genius not only in flavor, but also in simplicity. A beautiful salad that’s easy to throw together – not super fast but not especially time consuming. 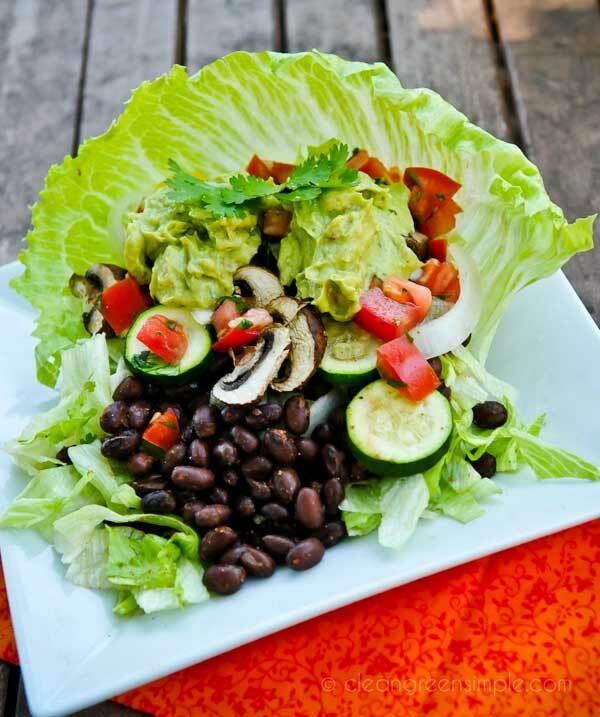 It uses iceberg lettuce for the “shell,” which provides a perfect, crunchy bed for the other ingredients. This is one of those easy soup recipes where you can just throw a bunch of stuff in a pot and walk away, and come back to a flavorful and healthy dinner. That’s my kind of recipe! 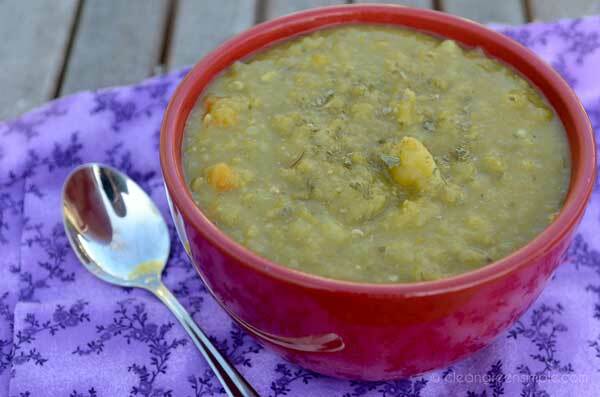 This soup is absolutely fabulous!! The addition of the addition of the chipotle in adobo sauce was so amazingly yummy!! 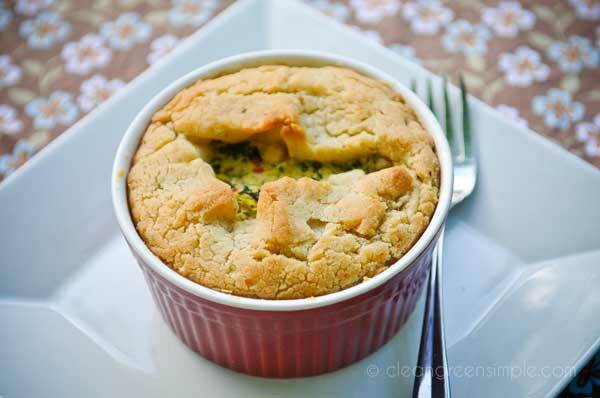 A delicious, flaky Spinach & Artichoke dish, inspired by Panera Bread’s souffle. What Panera calls a “soufflé” isn’t really a soufflé in the traditional sense. It’s more of a croissant type dough wrapped around an eggy filling, so our version is along those lines and tastes fantastic as a dinner entree. You know, I have to confess something – I had my doubts about this particular recipe. Just the name of it made me pause. Is this something that could be made vegan let alone gluten-free? But you have turned this skeptic into a believer! … Love this recipe! 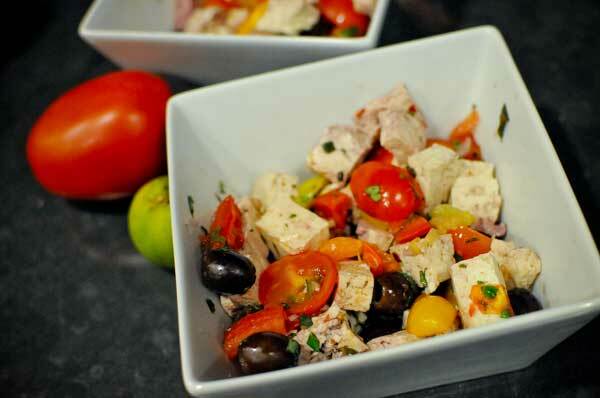 Another staple that’s easy to prepare, and this one only takes 5 minutes! This vegan recipe makes a surprisingly convincing egg salad. 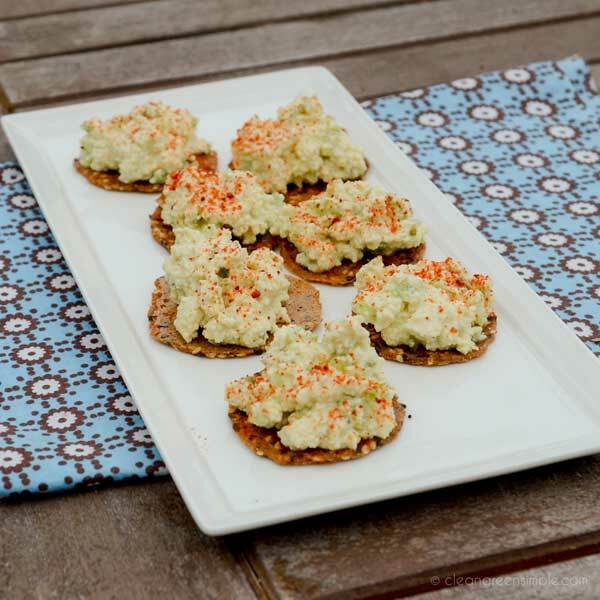 Some of our readers added dill, sweet relish, and other ingredients to suit their tastes. Give it a try! I made this the other day and I love it! I just love simple, great tasting recipes, thank you! Comfort food at its best! 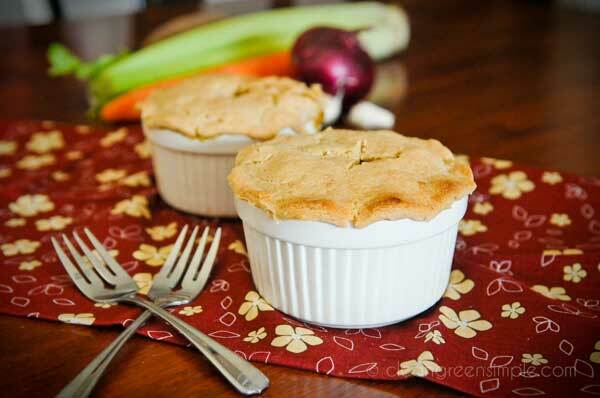 A classic veggie pot pie with a really good crust. Flaky, flavorful, and just perfect with this veggie pot pie filling. 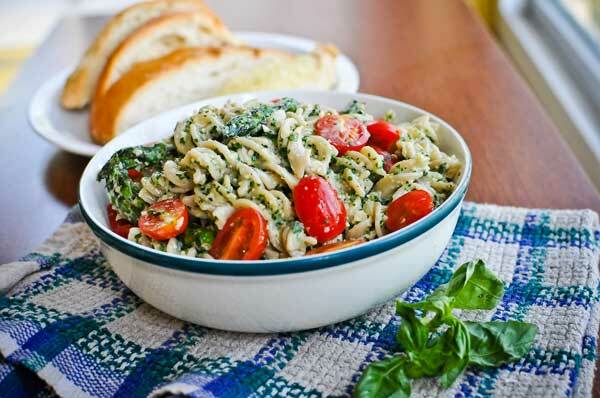 Another staple dinner recipe that’s easy to make for your go-to list. 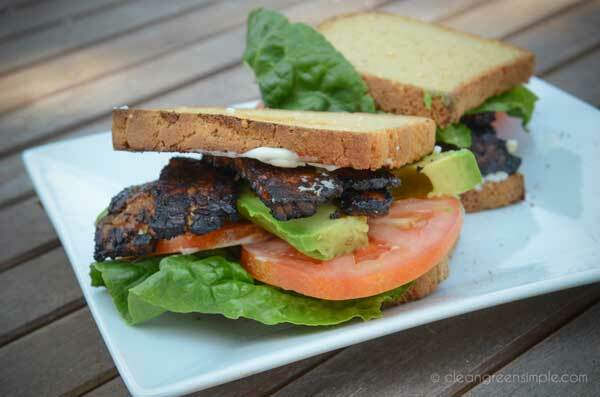 If you love a classic BLT, this vegan BLT recipe will definitely fill that craving. You won’t be able to pass off this sauteéd tempeh as real bacon, but it does have a great smoky, salty, crunchy flavor for a satisfying BLT alternative. 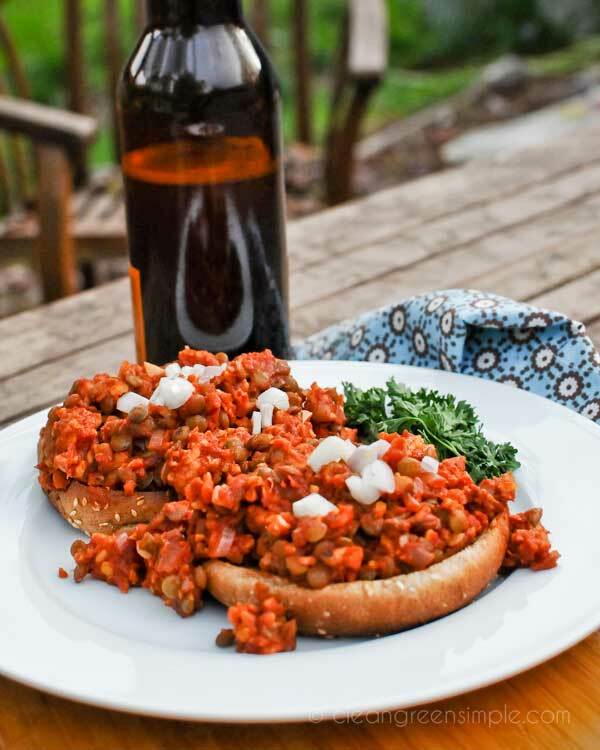 This is an excellent sloppy joe recipe that combines tempeh and lentils for a great texture and taste. It’s also pretty easy and times out nicely since the lentils boil for about 30 minutes and the tempeh marinates during that same 30 minutes. Ok, I absolutely love you! What an amazing recipe!!! Sloppy Joes are good, but yours are INCREDIBLE! 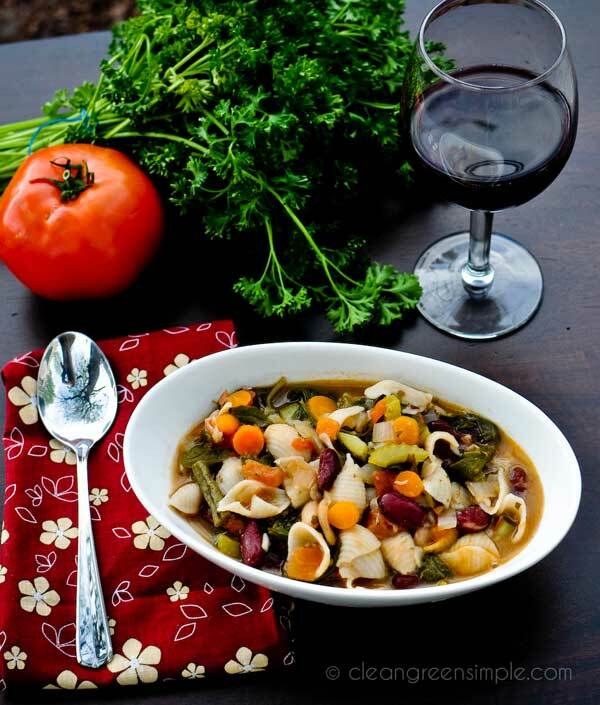 A delicious, hearty soup inspired by the Olive Garden version. It’s also fairly simple – just chop up a bunch of vegetables, saute them in a big pot, add broth and more vegetables, and let simmer. This is my favorite kind of soup to make. I usually do barley instead of pasta, but just because I’m so obsessed with barley. Gorgeous pics! This one for our tofu fans. It’s super quick and easy dinner to throw together. And “En Papillotte” is just a fancy way of saying it’s wrapped in paper while it cooks. 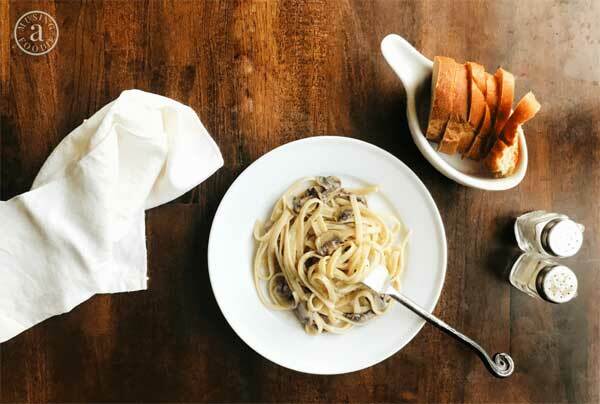 Courtesy of my friend Liza at (a)Musing Foodie, this vegan fettuccine alfredo features savory sautéed mushrooms, and is every bit as creamy and comforting as a classic dinner recipe. I had to save a special treat for last. 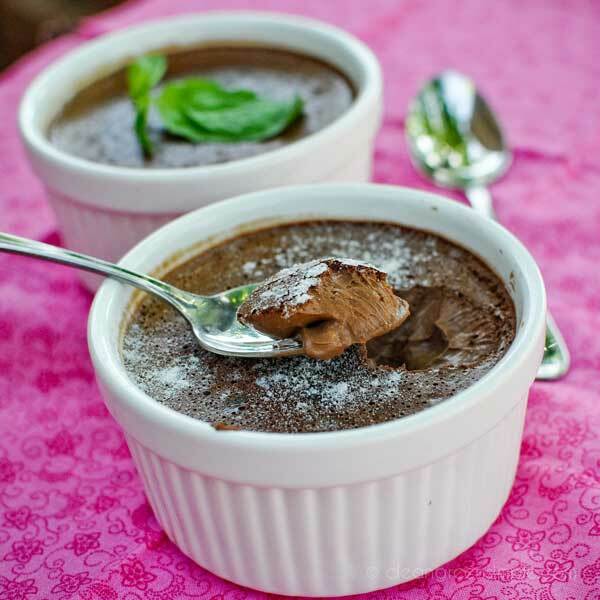 This is a creamy, decadent chocolate vegan dessert recipe with a unique flavor blend from an interesting combination of ingredients. And as with the dinner recipes, this one’s easy to make! Needed a gluten, dairy, egg free dessert for Christmas due to SIL’s allergies. OMG this is so delicious.